Hi everyone. Welcome to the latest challenge from The Digi Doodle Shop's Best - it's an "Anything Goes" Challenge. Just make a project and link it to DDSB for your chance to be a winner. This week I decided to use the adorable Hoot Owl Digi Stamp from The Digi Doodle Shop. He's just so cute I knew he'd be perfect for a card. And he was a "hoot" to color! 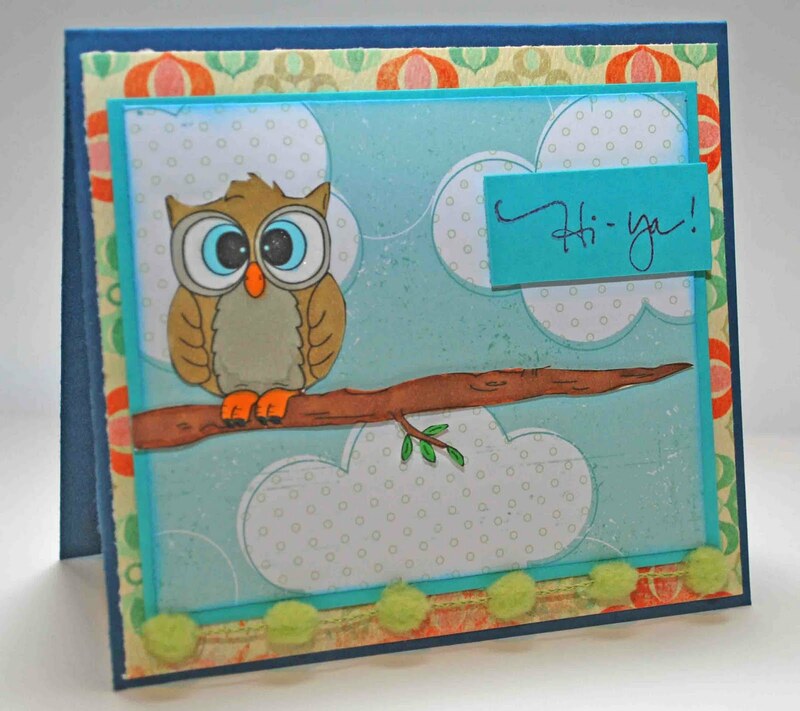 Visit The Digi Doodle Shop's Best Blog to see the DT's beautiful creations this week. 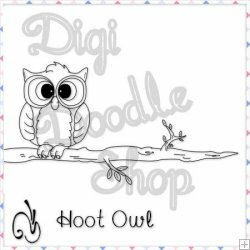 And The Digi Doodle Shop is having a great sale for the month of August, check it out! Now for the winner of my blog candy from the Really Reasonable Ribbon Blog Hop. The winner is "gocanucksgo" from Crafty Creations. I'll e-mail you! 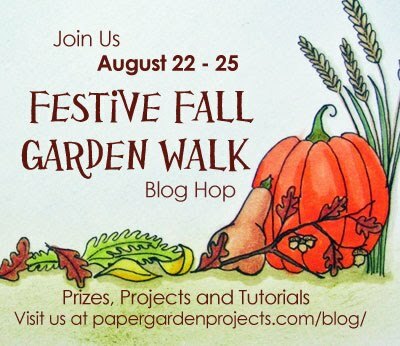 And for more chances to win goodies, I hope you join me Saturday for the Paper Garden Projects "Festive Fall Garden Walk". It's going to be a fun hop with lots of inspiring projects. What a cutie, Amber! Isn't this owl fun to play with? Hugs. Such a cute card Amber!!! The owl is adorable and I really love the cloudy sky. Very sweet card! TFS. What a darling card! Did you create your own sentiment? If so what font is that I love it! Adorable job on this stamp Amber. You made this little guy look more adorable than ever. Love it hun. Super cute, love this image!!! Really lovely Amber, love the image. Soooo lovely card, Amber ! What a cute little card! Love the little pom pom strip - too fun!